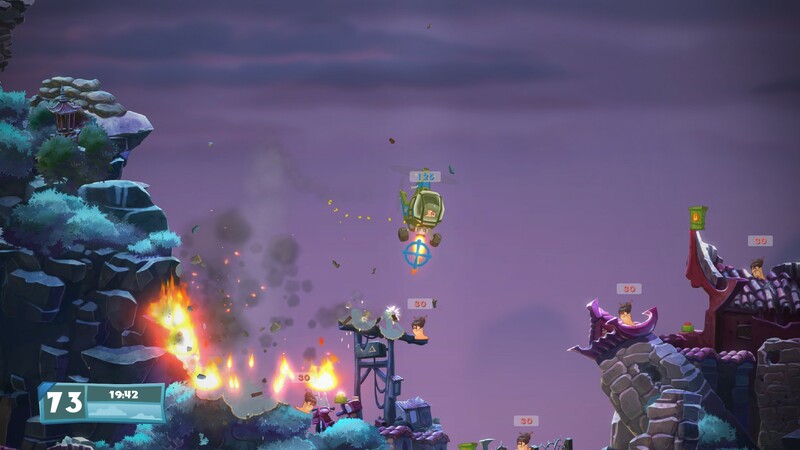 The Worms have unleashed mechanized mayhem in Worms W.M.D! Shoot, slam, smash, blast and spray the enemy with a variety of devastating vehicles from the tried and tested Tank to the agile yet deadly Helicopter. There’s still time to Pre-order Worms W.M.D to join the All-Stars! This Pre-Order Edition of Worms W.M.D includes the Worms W.M.D All-Stars Pack, featuring an army of guest stars from some of the hottest games around! What do you think of the new trailer? Stop by the Worms W.M.D forums to talk to us about the game!